Stop by Richter House on Sunday afternoons this Fall Season. 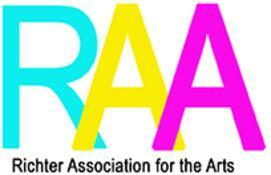 All programs begin at 3 p.m.
October 9 - Receiving for Juried Art Show. Parking is available at the Richter Golf lot, with handicap parking at the House. Outdoor concerts will be postponed until next season if canceled due to inclement weather. 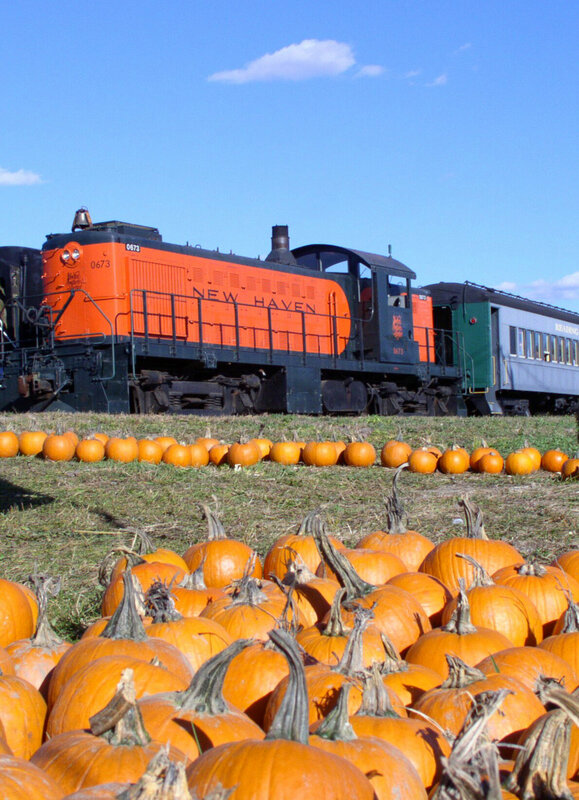 It’s the Fall harvest season so what better way to celebrate and welcome in the cooler weather than with a short ride on a vintage train to the Danbury Railway Museum’s Pumpkin Patch. This popular annual family event will take place on three weekends, October 13-14, 20-21, and 27-28; Saturdays from 10:00 AM to 4:00 PM, and Sundays from noon to 4:00 PM at the museum, with trains departing hourly beginning ½-hour after opening each day; last train at 3:30. Admission is $12.00 for ages 2 and over; children under 24 months are free. Ride the Pumpkin Patch Train through the historic railyard in a 1920's passenger coach, pulled by a vintage ALCo RS-1 diesel-electric locomotive (or other vintage locomotive, subject to availability) to the special pumpkin patch where each child ages 2-12 will receive a free pumpkin. Of course, the exhibits, artifacts, and multiple operating model train layouts inside the restored over 100-year old Danbury station will be open for your education and entertainment. The kids can also enjoy the free activities such as the “coloring station,” temporary tattoos, cider & cookies, and more. There is a fully-stocked gift shop on the premises. No reservations are required; the event will be held rain or shine. Children are encouraged to come in costume. The Danbury Railway Museum is a non-profit organization, staffed solely by volunteers, and is dedicated to the preservation of, and education about, railroad history. The museum is located in the restored 1903 Danbury Station and rail yard at 120 White Street, Danbury, CT and has many artifacts of area railroading on display, including over 70 vintage railroad cars and locomotives. For further information, visit the Web site at http://www.danburyrailwaymuseum.org, E-mail to info@danburyrail.org, or call the museum at 203-778-8337. Explore this fascinating era — the intersection of temperance, prohibition, suffrage, and immigration—from a variety of angles. 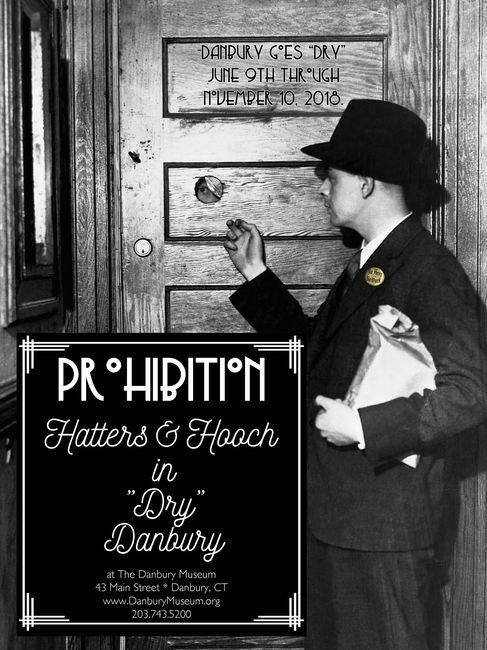 The SUMMER exhibit at the Danbury Museum and Historical Society is open and will continue through Saturday, November 10. Exhibit hall/archives at 43 Main Street is open Tues thru Sat, 10 to 4. Tours of historic buildings on Tuesday through Saturday, 10 to 3. And by the way, the Museum will be closed for the Independence Day Holiday July 1-4, and will re-open with regular hours on July 5. For the full Season lineup and more information Sync to the Link [https://danburymuseum.org/]. On September 28 at 8:00 P.M., Film lovers in Danbury will unite with an audience of over 100,000 film buffs, across 6 continents, when the MANHATTAN SHORT FILM FESTIVAL returns to The Palace Danbury. MANHATTAN SHORT is not a touring Festival; it’s a celebration that occurs simultaneously across the globe, bringing great films to great venues and allowing the audiences to select their favorites. Nine short films selected from entries from around the globe will screen across the world for one week. Audiences vote for the one film they think is best. This year’s finalists bring together an extraordinary range of film genres including intimate dramas;fast-paced animation; spine-tingling tales; a World War 11 epic; a film shot entirely underwater and a dark comedy as part of the MANHATTAN SHORT 2018 program. 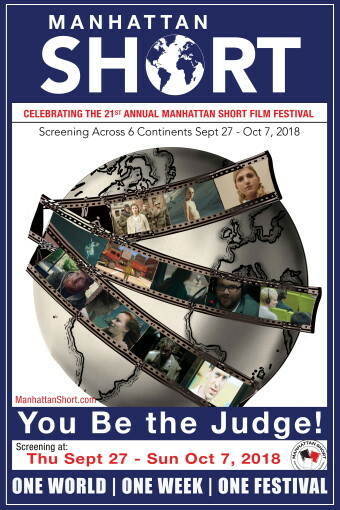 The nine MANHATTAN SHORT finalists hail from eight countries with films from Austria, Canada, Germany, Hungary, Kosovo, New Zealand, the USA, and two films from the United Kingdom. These final nine short films represent the best short from among 1565 submissions from 73 countries received by MANHATTAN SHORT in 2018, a testimony to the enduring vibrancy and creativity of short films. The Final 9 are: Baghead (United Kingdom), Fire in Cardboard City (New Zealand), Home Shopper (USA), Her (Kosovo) Two Strangers Who Meet Five Times (United Kingdom), Someone (Germany), Chuchotage (Hungary),Fauve (Canada), Lacrimosa (Austria). Share this calendar with your friends, now, please. The Danbury Cultural Commission thanks you for your support and with your help, will spread the word about the Culture and Arts in our City. Everyone has a Need to Know. Description: Film lovers in Danbury will unite with an audience of over 100,000 film buffs, across 6 continents. MANHATTAN SHORT is not a touring Festival; it’s a celebration that occurs simultaneously across the globe, bringing great films to great venues and allowing the audiences to select their favorites. Description: This one man wonder will blow your mind. 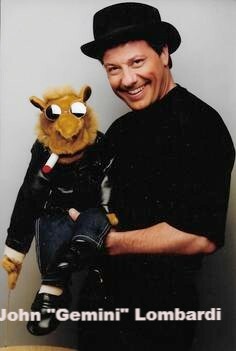 Gemini combines comedy, stage illusion, audience participation, ventriloquism, and great fun into one astonishing and hilarious show! Parking is available at the Richter Golf lot, with handicap parking at the House. Outdoor concerts will be postponed until next season if canceled due to inclement weather. Description: The very successful 2017 festival included 15 craft vendors, 2 magic shows by the Danbury Top Hatters, baked goods, pumpkin patch, Bouncy House, kid’s games, a country store, Granny’s attic and delicious home-style food. This year we anticipate the best festival ever! Description: Fans of the beloved Warner Bros. animated series are in for a treat as they get up close and personal with their favorite characters as songs from the pop-culture hit cartoon series are performed live on stage in the all-new Animaniacs In Concert! Description: Matica's performance was raucous and good natured, alternately exciting their audience and calming them with music. NOW you can ask Amazon's Alexa "What's The News in Danbury" for this weeks Danbury Cultural Commission events listings. Want to know more? E-Mail your questions to me or simply enable your Flash Briefing. 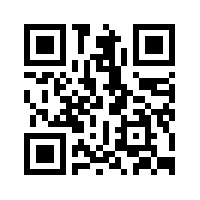 Scan this QR code for the up to the minute Calendar from the Danbury Cultural Commission Website. Ask Amazon's Alexa "What's The News in Danbury" for this weeks Danbury Cultural Commission events listings. Enable your Flash Briefing and search for Danbury in Alexa's settings. Nancy Lasar, "Flux and Flow: Unique Techniques and Collaborations"
The Real Unreal: Realism Now Featuring four artists whose work demonstrates a realistic and traditional painting style, while substituting subject matter with more compelling critiques on today’s culture and society. Participating Artists: Mia Brownell, Leeah Joo, Jenifer Knaus and Nathan Lewis. Curated by Jane Rainwater. The IN VIEW project is a collaboration between property owners in downtown Danbury Connecticut and area emerging artist who seek a venue to exhibit work. The Trailer Box Project 15 Great Pasture Rd. Connecticut Arts Endowment Fund (CAEF): CAEF grants are unrestricted. Grantees may apply the grant funds toward programming, administrative/operational costs, capital projects, equipment or to build their own endowments, etc. DEADLINE on or before 11:59 pm on December 15, 2018. SBD Foundation: The Grants Committee meets once a year to review requests. To apply for a grant, an eligible organization must submit a completed application by September 28, 2018. Make sure to review the application's checklist and include all of the elements listed on the application. Creative Commons *|CURRENT_YEAR|* *|LIST:COMPANY|*, Share, but give us credit, Thanks. While the Cultural Commission make every attempt to be accurate, please check with the event sponsors or the venue to ensure the most accurate information. ENJOY DANBURY. A look at the cultural and artistic life in Danbury, Connecticut. Is this email not displaying correctly? October 12, 13, and 14 is the time to be at the PAL building 35 Hayestown Road, across from the Town Park for the Annual Friends of the Danbury Book sale. This year there are over 80,000 items in 60 categories to browse. From Antiques to DVD's stop by and shop at this excellent event. Beginning at 8:00 A.M. on Saturday those early birds pay $10 admission for first crack at the treasures. And at 10:00 A.M. and for the rest of the weekend admission is free to all. On Sunday books drop to 1/2 price and by Columbus Day books will be $5.00 by the bag full. As an added bonus this year on Saturday between 1 and 3, there is a book singing with Bill Devlin and Herb Janick authors of Danbury's Third Century. And for the first time Credit cards are accepted for purchases. 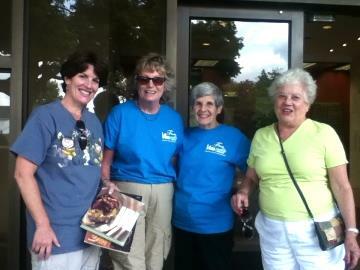 Stop over and support the Danbury Public Library through your purchases. Who knows what values you'll find. The Mercurial Gallery at 11 Library Place, in the heart of Downtown Danbury, will be closing its doors following this latest show Undone. For over four years Amanda Bloom has brought wonderful and interesting exhibits to the space off Main Street but the time has come to move on to new adventures. But keep your eyes open for an occasional 'Pop-up' show. Thank you, Amanda, for all your efforts showcasing the arts in the City and beyond. We look forward to your next projects. For over 45 years the Danbury Cultural Commission has supported and promoted arts and culture in Danbury. We are a part of the city which nurtures creative and aesthetic projects which support economic stability and a full quality of life. Danbury is one of the “Best Cities in America” in part because the Cultural Commission finds new talent and supports existing outlets. An Art Trunk at the Sheraton, 745 Baywood Dr. Danbury, the Fall Craft Fair at St. Gregory the Great, a Holiday Spectacular Arts & Crafts Showcase at the Ethan Allen Hotel/Conference Ctr, 21 Lake Ave. Danbury and the Connecticut Handcrafted Holiday Expo at O'Neil Center Western CT State Univ., University Blvd. are only a few of the events. In addition there is The Holidays juried Craft Show November 23rd at the PAL Center with some of the finest Crafters and Artists in the area showing handmade merchandise. Check the Commission web site, DanburyArts.com, for updates and details. Subscribe to the Commission calendar to be sure you don't miss another Danbury event. CityCenter hosted the Taste of Danbury with vendors arrayed throughout the Downtown green Musical events added to the excitement and festive atmosphere. At the Richter Association for the Arts in September, the Berkshire Big Band played outdoors and the audience called it "Fantastic". On the 22nd A musical lecture by Charles Berger, “From Classical to Popsical” discussing the use of classical melodies in popular music. And the juried art show set up and exhibited to round out the month. Want to know more? Browse to Danbury Cultural Commission event calendar and set a bookmark. The calendar is updated often. You can also subscribe to this Newsletter. We publish periodically, we won’t share your address and you can drop off of the list at any time. Send your request to be on the mailing list to Danbury Cultural Commission newsletter request. This month more than 8 bands will be performing at the 155 Main Street Danbury concert hall and art gallery. Even more is planned for the rest of the year. Check their website for performance details. Want to see the current Danbury Arts Calendar on your smartphone? Danbury has 4 museums, 10 art galleries, 9 performance spaces, 5 music groups and 10 cultural organizations a University and a dozen arts schools. Artists, looking for assistance from the Danbury Cultural Commission? Our Grant application is available on-line to fill out and print in your office. Send the completed forms us. E-Mail with questions. Or call. We meet the fourth Monday most months.